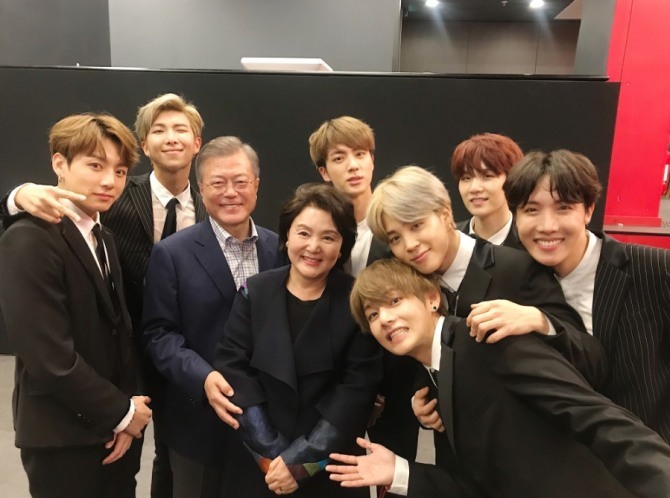 BTS met South Korean President Moon Jae-in and first lady Kim Jung-sook during the band’s visit to Paris for a concert celebrating the friendship between Korea and France. 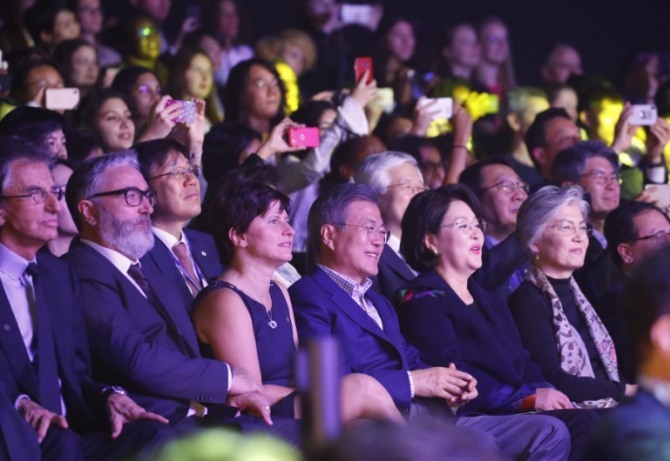 The group posted pictures on Twitter of its members with Moon and his wife at the Korea-France Friendship Concert at theater Le 13eme Art on Sunday. 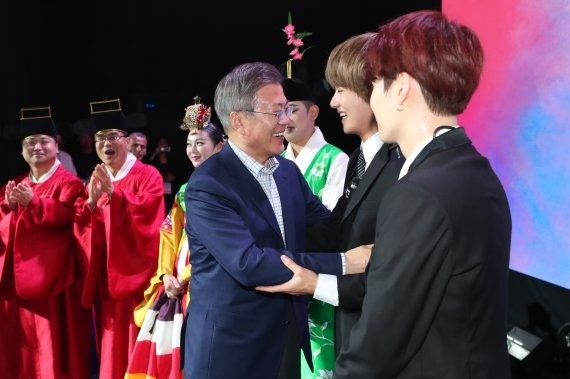 In photos released by the Blue House, Moon looked proud as the group powered through the hit-packed set, including “DNA” and “Idol,” before an audience of 400, including dignitaries representing the political and arts scenes. 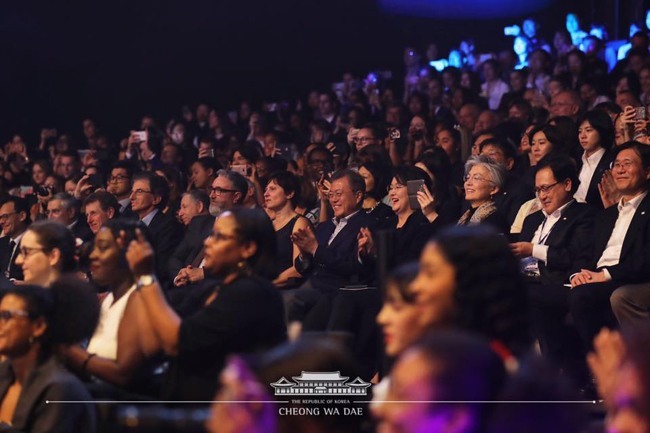 The small-scale concert also involved traditional Korean musicians and singer Kim Na-young. 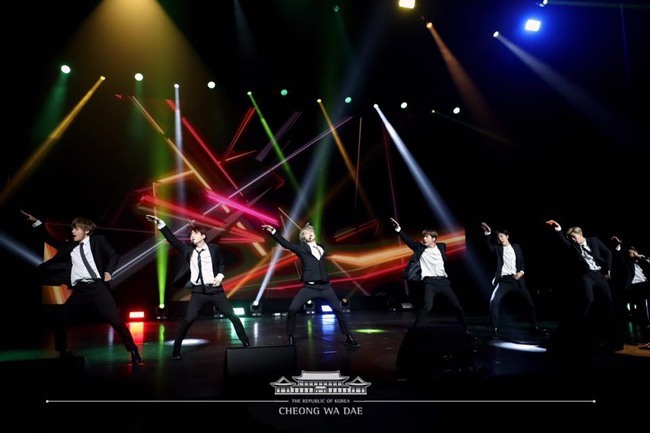 The Korea-France Friendship Concert is the latest in a series of cultural events the two countries have held since the 2015-2016 “France-Korea year,” which marked the 130th anniversary of the establishment of diplomatic relations between them.